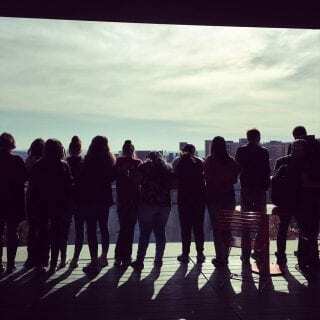 Visiting eighth-grade students look out over the University of Arkansas campus. A new working paper released by a team of researchers in the Department of Education Reform examines the effect that visiting the University of Arkansas campus can have on eighth-grade students’ attitudes and preparation for college. Over the past two years, doctoral students Elise Swanson and Katherine Kopotic — in collaboration with Jonathan Mills, Gary Ritter, Gema Zamarro and Jay Greene — have worked with more than a dozen schools in the region to expose students to various aspects of campus life. The researchers were motivated by the idea that even if students possess the financial resources and information necessary to attend college, they may be less likely to enroll if they feel they would not belong on a college campus. Mills is a research associate, Ritter and Zamarro are faculty members and Greene chairs the department on the Fayetteville campus. “Our theory is that if students can get an accurate picture of what college is and what it takes to succeed early on, then by the end of high school they’ll be more socio-emotionally and academically prepared to enter college,” Swanson said. To test that theory, the group recruited more than 700 students from schools with higher proportions of first-generation potential college students. All students who agreed to participate received written information about how to prepare for college and different postsecondary options in the state; half of the students were selected randomly to also participate in the three campus visits. 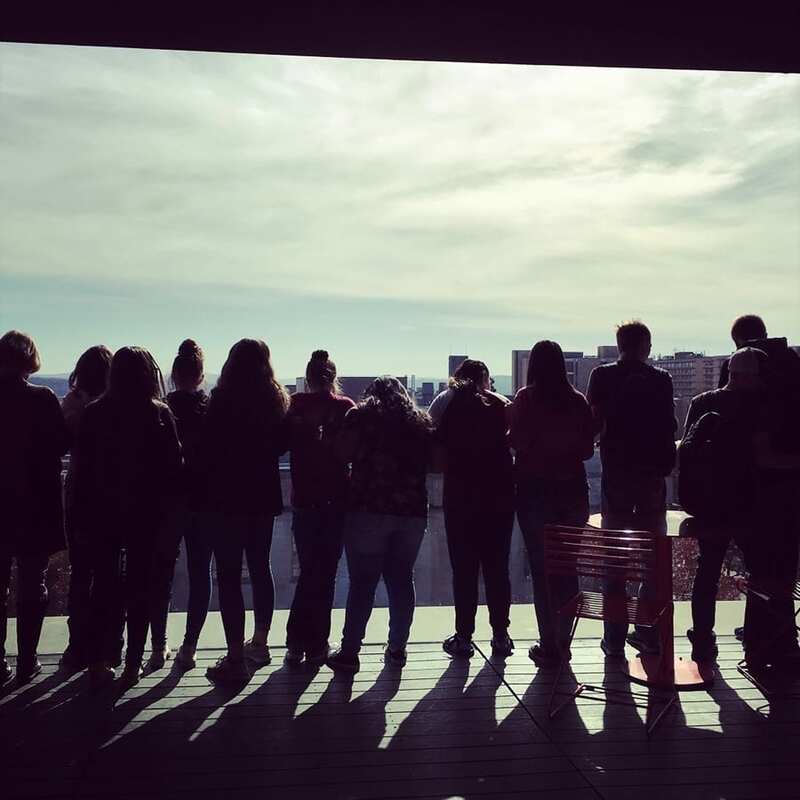 “This experimental design allows us to look at differences in outcomes between students who did and did not visit campus and know those differences are a result of the field trips,” Kopotic said. The working paper detailing the study and full findings from the first cohort of participating students is available online. The research team collaborated with several programs on campus to give students a taste of various aspects of campus life. For their first visit, the eighth-graders took a tour of campus with student ambassadors from the Office of Admissions before participating in an informative workshop with staff from the College Access Initiative. On their second visit, students toured a dorm and participated in hands-on activities with two of 10 partner university divisions. Sponsoring activities for the visiting students have been the departments of economics, English, food science, physics, theatre, College of Engineering, Eleanor Mann School of Nursing, Fay Jones School of Architecture and Design, University Recreation, and the Volunteer Action Center. On their third visit, students either attended a Razorbacks baseball game or competed in an on-campus scavenger hunt. Students ate in Brough Commons for each visit, with chaperones reporting to researchers that the dining hall was one of the most memorable aspects of the visits. The project is in its second year of hosting campus visits for students, and so far the results of the study are promising, Swanson said. Students who participate in the visits retain more information about college, exhibit more diligence, are having more conversations about college, and are more likely to enroll in advanced math and science/social science courses in ninth grade than are students who only receive written information about college. The research team plans to collect information on participating students throughout high school to see if these effects on course-taking behavior persist and to see if the visits affect students’ eventual college enrollment decisions.